Join us this summer for the 31st Annual ShopRite Nutmeg State Games Judo Tournament hosted by the City of New Britain! This is a great opportunity to compete in a statewide tournament in Central Connecticut. 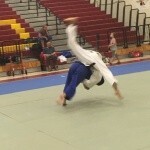 This year's Judo Tournament will be hosted by New Britain High School on Saturday, July 20th. 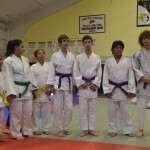 The Judo Tournament will be coordinated by Pam Hinkle and the Blue Dragon Judo Club. REGISTRATION DEADLINE: Fri., July 5th. NO Onsite Registration will be allowed. 8:30 am - 10:00 am: Weigh-In & Check-In. 10:00 am: Kata Competition begins. Juniors and Masters competition will begin immediately after the opening ceremonies. 1:00 pm: Senior competition will begins. Proof of USJF, USJA, ATJA, and USA Judo membership and expiration date must be provided. ​​Non Black Belt Waiver - Coming Soon! Events are open to all Connecticut amateur athletes who register with the Nutmeg State Games Office. The Nutmeg State Games reserves the right to cut the competition in the event of over subscription. Proof of USJF, USJA, ATJA and USA Judo membership and expiration date must be provided. Enrollment forms will be available at registration. Nage no kata competition is open rank, age and gender. The Nutmeg State Games May add, combine or eliminate divisions in the interest of safety and fairness for all participants. Double elimination will be used for all divisions. No drop-knee seoi nage for juniors. No shime waza or kansetsu for yonen (12 and under). Shime waza is allowed for shonen (13 to 16 yrs. ), but kansetsu waza is not allowed in any junior divisions. Shime waza is allowed for all senior (+17) and masters divisions. Kansetsu waza is allowed in senior, intermediate, brown, elite and all master divisions. Juniors, (13 – 16) and non-black belt seniors who wish to compete in brown and elite senior divisions must have signed certificates regarding non-black belt contestants. No contestant under 13 will be allowed to compete in senior divisions. No mixed gender matches will be allowed for anyone over 8 yrs. old. Golden Score will be in effect for all matches. Light, medium and heavy weight divisions will be determined upon completion of weigh-in. The tournament director reserves the right to add or modify divisions in the interest of safety and fairness to competitors. For example, a super-heavy weight or super-light division may be added if appropriate. Participants entering an individual sport competition or meet are requested to submit an Individual Sport Athlete Registration Form and the Appropriate Individual Sport FEE as soon as possible to enhance their chances of competing in the Nutmeg State Games. Onsite Registration is NOT be available the day of the tournament! To veiw the rates of participating hotels that the Nutmeg State Games exclusively offer, please click here.